Creamy, dreamy, and totally dairy-free! 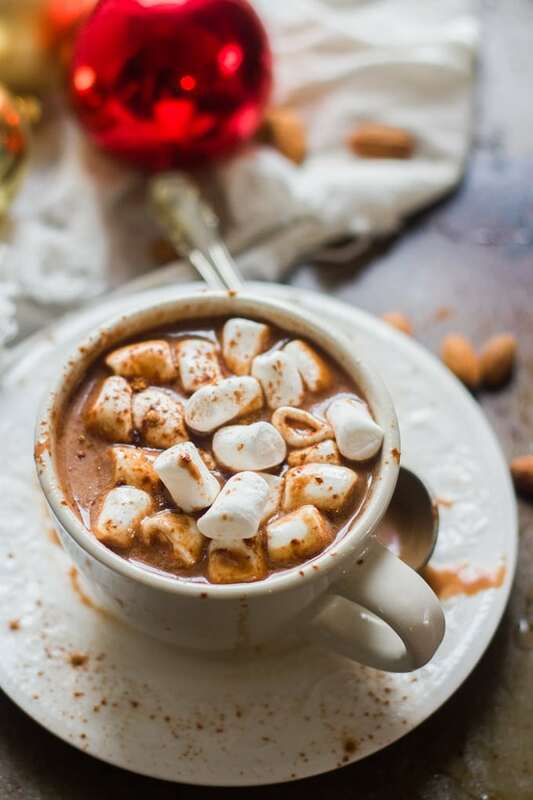 This vegan hot chocolate is rich, decadent, and guaranteed to warm you up this winter. The best part: it whips up in about five minutes! Two years ago my sister-in-law asked me if I had a vegan hot chocolate recipe on the blog. I didn’t, but I tried my best to come up with a recipe on the fly and made a mental note to test it out and, if it was good, share it asap. Well guess what happened" I kept putting it off and eventually forgot what the recipe was! I literally told her how I’d make vegan hot chocolate, with some instructions to use trial and error to get it perfect, which is what I’d do if I were developing and testing the recipe in my own kitchen. I finally decided to start from scratch and create a new vegan hot chocolate recipe around this time last year, but I never got around to sharing it on the blog. And that’s unfortunate, because you know what" It was awesome! Awesomer than any dairy-based hot chocolate I ever made, that’s for sure! So here it is, at long last. The secret to a killer cup of vegan hot cocoa" Chocolate chips. They work so much better than cocoa powder. Seriously, melt those babies up in some non-dairy milk and you’ll end up with something that’s a zillion times richer and creamier than any dairy-based hot chocolate you ever drank.